The Furry Foam Nymph is a variation of the basic Damsel Nymph. The crystal hair and the hot spot thorax certainly add to the fish taking qualities of this pattern. Tail : Olive marabou and six to eight strands of orange crystal hair. 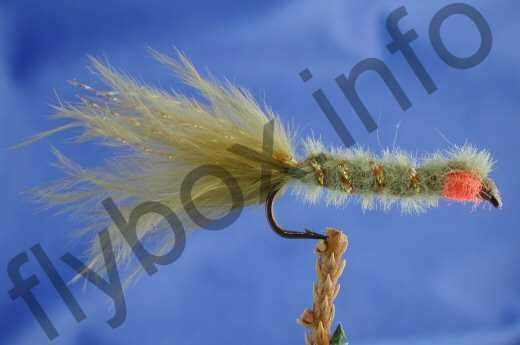 Body : Olive furry foam 3-4 mm wide. Wing case : Olive furry foam 3-4 mm wide. Rib : Orange crystal hair. Currently there are no comments about the Furry Foam Nymph fly pattern from other fly fishermen yet.